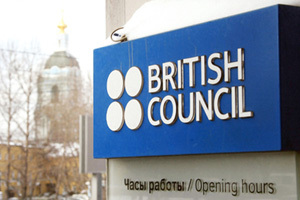 The dispute over the operationof British Council offices in Russia took many, in Russiaand Britain, by surprise. After all, the Council's purpose is "to build mutually beneficial relationships between people in the UK and other countries".So why did the Russianauthorities react as theyhave? In fact, there has beentrouble brewing for some time.RBTH exclusively publishesthe official explanation fromForeign Ministry spokesmanMikhail Kamynin. "The problems of the British Council did not appear yesterday," explained Kamynin. "Over the past few years, Russia and Britain have been working to adjust the Council's operation to Russian legislation and to draft a relevant intergovernmental agreement. France, Germany, Spain and other Europe - an countries have long signed such agreements with Russia, and so have no problems with their cultural and information centres' operation." of counterterrorism contacts between their secret services, a freeze on a bilateral visa facilitation agreement, and the introduction of stricter visa procedures for Russian citizens. Russia responded by suspending work on the agreement on cultural and information centres. As a result, the Russian Foreign Ministry decided to halt the operation of several regional offices of the British Council." The ministry spokesman recalled that the Council had been working in Russia since the early 1990s. "Having opened its central Medveoffice in Moscow in 1992, the British Council soon set up 15 regional offices without legal registration," Kamynin said. "In violation of the relevant resolutions of the Russian government, the UK has not requested, and therefore has not been granted, Russia's permits to open regional offices. was being finalised at the time. But later we have registered repeated violations of Russian financial, tax and other legislation by the British Council." The Russian Foreign Ministry has dismissed Britain's arguments regarding the legitimacy of the Council's operation based on references to the Vienna conventions on diplomatic and consular relations, because the British Council is not a diplomatic or consular agency. `Any operation within the framework of this Agreement shall proceed in compliance with legislation and rules effective on the territory of the host country.'" The ministry spokesman said that Russia sees the only acceptable solution to the crisis in bilateral relations: "If Britain really wants to settle the problem with the British Council in a civilised manner, it should revoke the unfriendly actions it took against Russia in the summer of 2007." Born in Moscow on August 13, 1956. 1978 - graduated from the MGIMO Diplomatic University, Faculty of International Journalism of. In diplomatic service from 1978. 1991-1992 - Head of the Press Secretariat of the Russian Minister of Foreign Affairs. 1992-1997 - Counselor at the Russian Embassy in Spain. 1997-1999 - Deputy Director of the Press and Publicity Dept at the Russian Ministry of Foreign Affairs. 1999-2002 - Minister-Counselor at the Russian Embassy in Cuba. 2002 - Deputy Director of the First European Department at the Ministry of Foreign Affairs of Russia. 2002-2005 - Ambassador of Russia to Spain and concurrently to Andorra; and the Representative of Russia at the World Tourist Organization. Was included in the official delegations of the USSR and Russia at a number of international forums. A member of the Russian Union of Journalists. An Honorary Professor of the Spanish Society of International Researches. Speaks Spanish, English and Portuguese. Married, with one son and one daughter. "The offices of the British Council are not political organisations. They implemented education and culture-related programmes, operating exclusively in the humanitarian sphere. They did not harm Russia in any way. That is why I think both sides should now sit down and discuss the issue again, outside of the current political context, without emphatic judgment or ultimatums." British influence in the general meaning of the word, but again, Russia was the one who was really interested in its work and really benefited from it." the reason for the sanctions the Russian officials applied."